The heat is here, and Barnard, VT has become a hot spot for music every Thursday night. BarnArts Center for the Arts presents music at Feast and Field Farmers' Market each week, beginning with some artists who are more accustomed to the heat to start off the month! Thursday, July 5th, Mokoomba, from Zimbabwe perform at this unique farmers' market venue. The evening will begin with a music and dance workshop at 5:30 followed by a concert at 6:30. Come on out and cool down with a cool drink from one of the vendors (Fable Farm Fermentory, or Carin's Kombucha, or VT Fizz sodas), and embrace the warmth with some hot music. Scroll down to see the full line-up for the month. The group’s members began playing together as teenagers in 2001, and Mokoomba was officially formed in 2008. Their first major success came that same year, when they won the Music Crossroads Inter-Regional Festival Competition in Malawi. In 2009 Mokoomba recorded its first album, Kweseka — Drifting Ahead, which generated a local hit “Messe Messe”, and the group’s first European tour. Mokoomba recorded a second EP, Umvundla, in 2011. But their big break came in 2012, when the band released Rising Tide produced by pioneering Ivoirian bassist Manou Gallo (Zap Mama) for the Belgian label ZigZag World. Danza Del Fuego was founded in 2015 by flamenco guitarist Elijah Kraatz as an outlet for his passion for traditional Romani/Flamenco music. Since then the group, which began life with only three instruments, has experimented and morphed until in late summer 2017 it included six of the area’s top musicians. Adding only a few modern touches, Kraatz has steered the group on an original, yet very traditional, Romani course producing exciting and very popular performances. 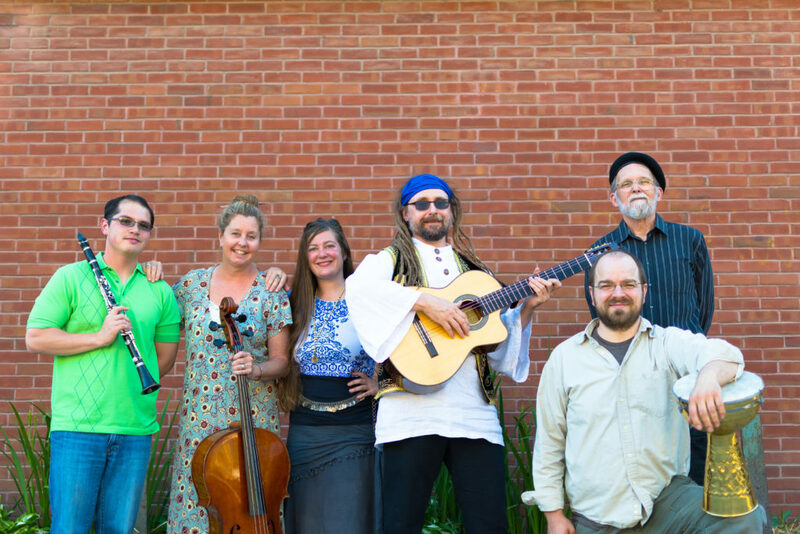 The group also includes Stacey Chadwell on vocals and harmonium, Melissa Perley on cello, Tom Frink on woodwinds, melodica and vocals, Joshua Pfeil on percussion, and Ed Dale on bass. Fu’Chunk is one of the Upper Valley’s favorite Funk ensembles. Formerly known as TOAST, they band is guaranteed to get folks moving with their originals and choice selection of covers with Jim Yeager on guitar and vocals, Scott Paulson on Bass, Barbara Smith on saxophone and flute, and John Foster on drums. Jes Raymond writes and sings songs that connect the day to day with the muses of wonder and myth. “The Blackberry Bushes” is the collective centered around those songs and her long time collaboration with fiddler Jakob Breitbach. Together, They fall somewhere between Stevie Nicks, Gillian Welch, and The Infamous Stringdusters. 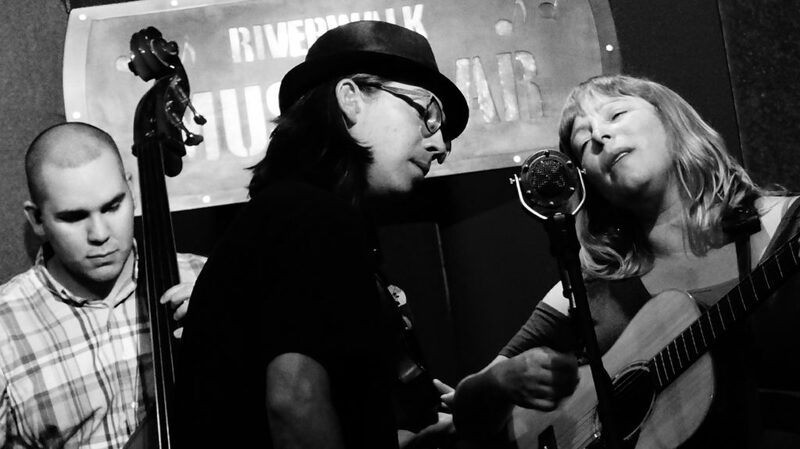 Jes and The Bushes draw from the deep well of American Roots music for a modern sound that has a light-hearted rusticity, elegance, and soul. The Bushes have that rare magic that allows them to fuse voices from many genres into an acoustic instrumentation that retains distinct threads of sonic color. They are emerging as artists with an obvious love of performing, spot on chemistry, and a live show that truly aims to stir the spirit. Backed by a rotating cast of talented believers, they simultaneously honor the genius of tradition and innovation. Elements of jazz, classical, pop, gospel, and bluegrass saturate the sound that is buoyant, bold, and like their thorny namesake, rooted and growing, growing, growing. All music is presented with pass the hat (actually a sap-bucket). Please give generously to help sustain this programming and pay artists. Read about the full line- up here.